SAN DIEGO (CNS) — It’s not your typical pro-life organization that puts out a video with a pregnant woman wearing a pink wig and, at one point, even sporting a pair of purple fairy wings as she mocks talking points made by the “pro-choice” movement. Yet another video mocks the old canard that the pro-life community stops caring about children once they’re born by showing two pro-lifers breaking in to a pregnancy resource center under cover of darkness and committing what Klassen describes as “a reverse robbery”: leaving boxes of diapers for the clinic to give away for free to any mother who needs them. The videos have generated a lot of positive feedback, and Klassen has seen them subtitled and dubbed for foreign audiences. 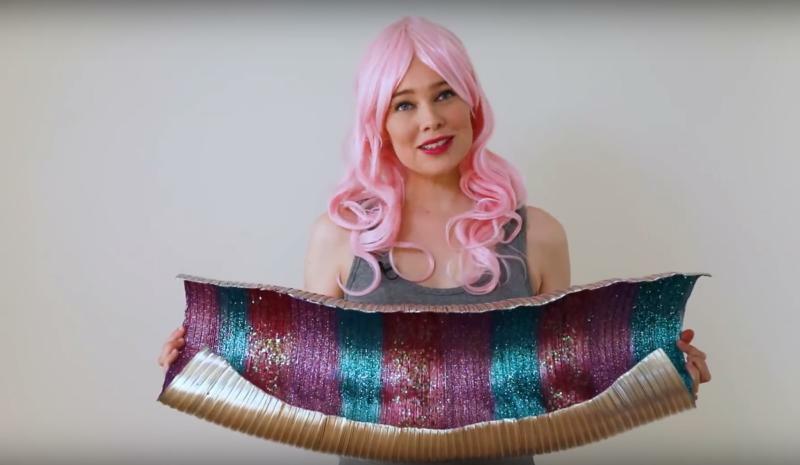 Last summer, some Argentine pro-life activists even re-created, scene for scene, her “Magical Birth Canal” video as part of their campaign against a bill that would have legalized abortion in their country. Of course, there have been negative reactions, too. Some have come from members of the pro-life community who failed to recognize the satirical nature of the videos and misinterpreted them as being for abortion, said Klassen. Others have come from supporters of abortion, including one man who left a “quite awful” comment that a then-pregnant Klassen should be kicked in the abdomen. “Who even writes that publicly?” asked Klassen, who said that her videos also have been flagged and blocked on several occasions on Facebook. Before starting CHOICE42, Klassen had long been passionate about the pro-life cause. Growing up in a Christian family, she believed from an early age that abortion was immoral. She remembers participating in a pro-life event as a young child and seeing a graphic abortion image that she was never able to shake. “As a child, if you see that kind of thing, you just know it’s wrong,” said Klassen, who did a school project on abortion almost every year, chose the issue as a debate topic in high school, and began volunteering at her local pregnancy resource center while attending college. About three years ago, Klassen founded CHOICE42 to provide what she saw as the “missing piece” in Canada’s pro-life movement: a central location to which pregnant women could turn to find a comprehensive listing of the many resources available to them. CHOICE42 prides itself on hosting Canada’s largest database of such support services — everything from crisis pregnancy centers to adoption agencies to post-abortion recovery organizations. Klassen also saw that many of her fellow Canadians seemed unaware that their country allows abortion at any stage of pregnancy, without any legal restrictions. So, CHOICE42 also became a vehicle for raising awareness and shifting public opinion. Inspired by companies that were producing “these really short, quirky, funny videos” that were being shared across the internet, Klassen said CHOICE42 began producing its own. And that’s what really put the organization on the map. CHOICE42 is active on several social media platforms, including Facebook, Twitter, Instagram, YouTube and Pinterest, where it engages with others about abortion and connects with women experiencing unplanned pregnancies.